The 3 Things You Must Do When You Are Hurt At Work | Hoggatt Law Office, P.C. Immediately report to your supervisor or Human Resources representative how you were injured at work and ALL of the body parts that you injured! Immediately go to your employer’s designated medical provider, or to the emergency room or urgent care if the employer has not designated a provider or in case of an emergency! When you arrive at the designated medical provider, urgent care or emergency room, tell the doctors and nurses how you were injured at work and ALL of your injured body parts! Call Hoggatt Law Office, P.C. 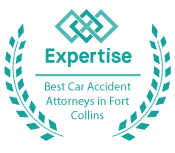 at 970-225-2190 immediately to avoid making mistakes that could damage your claim.